Have you been looking for something to support and nurture yourself and loved ones? Are you interested in healing, but you do not know what to start with as you have never tried/learnt before? If you said yes, this workshop is for you. Level 1, for beginners. A fantastic foundational course for those interested in self-healing and personal empowerment. Reiki is simple yet effective tool to have in your daily self-care kit in any life stages. After this workshop, you will have Reiki for life! Reiki is balancing, harmonizing and complimentary healing modality form Japan. You are able to use Reiki from the very first day you learn it as the Reiki flow in your hands are activated and enjoy the benefit such as deep relaxation, stress management, health management, sense of well-being, personal development etc. Rie teaches the traditional Usui method which requires no belief, religious bias or spiritual background. Our approach is grounded and thorough and there is plenty of time to ask questions and explore Reiki for yourself. Reiki is so easy to use that it is ideal for lay people who are not familiar with natural health and methods of healing as it provides an excellent foundation for exploring other types of modalities. The weekend is very experiential with exercises, practice and sharing of techniques and ideas.The workshop provides not only information about Reiki, but also there are plenty of interactive sessions to practice giving Reiki treatments to get you comfortable with your new found skill. Rie teaches the traditional Usui method which requires no belief, religious bias or spiritual background. Our approach is grounded and thorough and there is plenty of time to ask questions and explore Reiki for yourself. Rie is a gentle soul from Japan. She started searching her truth when she found that she is living her life for everybody else, but her. She started dance, meditate and was gradually introduced to Usui Reiki which has been THE everyday tool from the day she has learnt. Reiki has helped her to reduce long-term lower back pain, made her healthier and more positive and hopeful in her everyday life. She discovered Kundalini Yoga and Crystal Singing Bowls followed by Reiki. These healing modalities form her daily toolbox and have supported her in spiritual development, improved physical health, heightened awareness and energy levels and also gave her the courage to be true to herself. Her mission is to guide souls who have started searching their truth and to equip them with practical and effective tools which are accessible to everyone, so that they are able to find guidance within themselves. 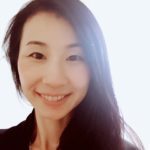 Rie provides a safe and supportive environment in both her workshops and healing sessions so that students and clients are open to have a full and empowering experiences.